Darwin’s Roadmap to the Curriculum: Evolutionary Studies in Higher Education | Welcome to the EvoS Consortium! 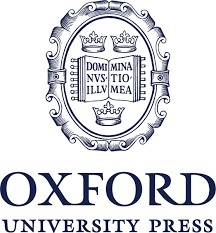 Darwin’s Roadmap to the Curriculum: Evolutionary Studies in Higher Education, in contract with Oxford University Press, is designed primarily to provide a broad, rich, and deep set of chapters that (a) explicate how evolutionary principles help elucidate content across varied academic areas (including both examples of how evolutionary principles have helped lead to new ideas and how the evolutionary approach has led to interdisciplinary scholarly endeavors) and (b) apply evolutionary principles to several real-world issues (such as education, mental health, etc.). Note that this book is largely based on the international Evolutionary Studies (EvoS) Consortium that we have developed over the past decade – partly funded by the NSF – designed to advance evolutionary studies in higher education across both academic areas and institutions. See www.evostudies.org for more information.